Service... All that man does in life. Love... All that pushes man at service. the family, the society and the god. How to divide time between multiple interests…??? The most confusing question in decision-making for me was this. Can this ever be possible??? May be!!! I thought once, and, coined the term ‘multi personality in order’… Usually the preference is given to our interests making something as ‘primary’ and other as ‘secondary’ and so on… The basic principle lies here…in making everything ‘primary’…which needs us to act in different personalities, thus making us to involve in each personality to achieve the respective ‘primary’ interest. The change in personality; accordingly, intentionally to get things done in a perfect way… how if the preference is given equally to all interests that everything becomes ‘primary’ in our life thus achieving all what we desire…! However, Giving ‘primary’ status to everyhing is not easy and can be done (? ), of course, through multi personality in a definite way… which needs a great practice, and further, a perfect control on ourselves… which shall otherwise lead to multi personality disorder, thus leading to the change in personality without knowing…! Getting into multi personality 'in order' seems unusual… but if practiced, it shall give the best… each personality attained according to the respective interest, making it ‘primary’ for that personality during a specified time… and... the personalities goes on changing with interests... Try out once!! PS: Four years life of engineering… got enough time to do anything and everything… excepting a day before the exams to decide whether to take the exam or drop it. Still It was difficult to find the time for my interests which increased in number year after the year and… I didn’t understand how to divide the time between multiple interests. This funny heart wanted not to let any of my interests to become ‘secondary’ in my priorities. Those were the days when Shankar’s ‘aparichithudu’ hit the big screen and hit my mind too. After watching the movie, I was back home and wrote something and when finished writing it and read it, my body trembled at once imagining my differed personalities fighting my interests...! 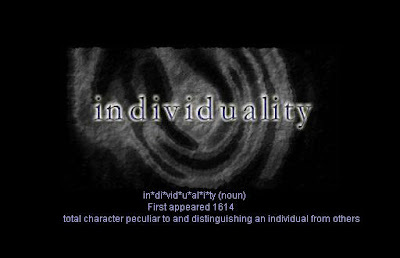 I just wanted to instigate a thought in your mind - how would you feel at your imagination… How it would be if someone intentionally tries to get into multi-personality…??? Religion, God and Spirituality In life. Man faces many 'problems'. All problems can't be solved by himself. He looks for someone(somethng) else who(which) can solve his problem. In other words, he tries to find out some means which gives him relief. A 'problem' is felt so due to some emotional, sensual and social imbalance and something else beyond this(?). To write the same in the 'beyond' context... Everything that happens is due to energy, negative or positive, which changes it's forms. We ought to 'believe' that everything runs under some energy which we do not know. We say it an ‘impersonal god’. If there is any 'body' which can solve the problems of beings, then it is treated as god... here comes the existance of god... a personal god. 'god thing' is infinite. Since any religion is limited, No religious god is the perfect answer for 'god'. The ‘solution’ to all the so-called problems could be given by no 'body' till now. Each role entered humans' life yet its role was limited. That is the reason why humans found so many gods. Also, man doesn't know the exactness of anything which is again the reason for the existence of so many gods and religions which satisfied, within their limits, the purposes of the age. Studying every religion, knowing the reason for its creation, existence and extinction, then, trying to satify its purpose... also making our purpose out of it... shall take us to higher level. That is all!! The solution of man’s every so-called problem lies here…in balancing the sensual, emotional, and social attachments and the resultant pleasures and grieves… realising that they are momentous… thus living a sustainable life being non-addicted to the situations being faced. PS: We seek for something, in this world, may it be termed 'realization', through knowing and learing things. Religion is a way to realization. Those who are not self-controlled can 'practice' any religion, provided the practice need to be perfect, according to the holy scriptures of the respective religion. It must be either 'One which knows the truth' or 'The belief in...' ! !